Iditarod trail | I hope to be remembered for my atrocities! One of the most well-known sled dog races in the world, the Iditarod is a test of will, survival, and endurance that brings human mushers together with their loyal sled dogs. Let’s take a closer look at the Iditarod, its history, and what truly makes it the Last Great Race on Earth. While the 1,131-mile route—starting in downtown Anchorage and finishing in Nome—is mainly known for the annual dog sled race, the Iditarod trail actually proved a much more functional, practical use back in the day. The same trail was a popular mail-supply route and was used in the gold rush of the early 1900s, allowing travelers to reach mining towns. 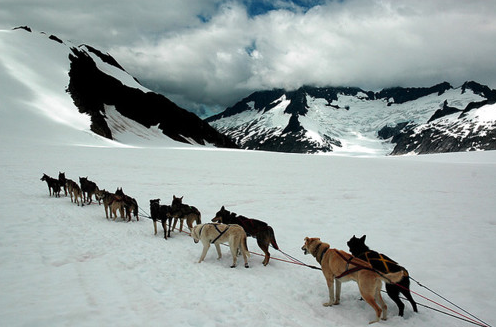 In 1925, the trail helped sled dog teams transport precious serum throughout Alaska during the diphtheria epidemic. Skip to the 1960s. 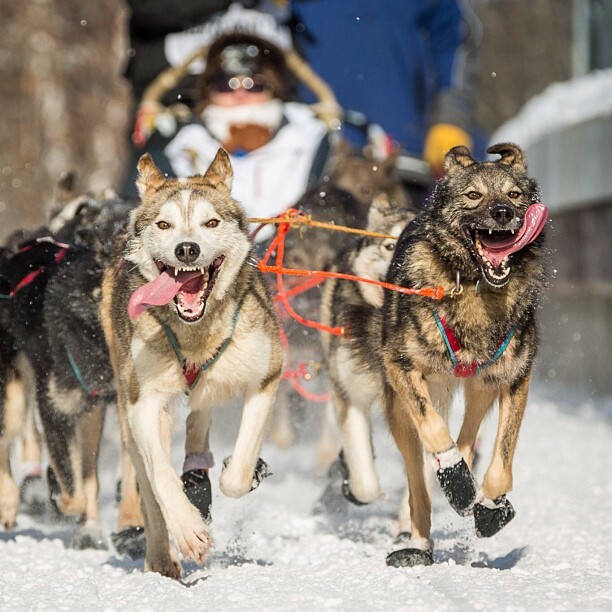 Dorothy Page and Joe Redington Sr., unhappy with how sled dogs were being replaced by motorized snowmobiles, decided to honor the great tradition with a short 50-mile race. But in 1973, Page and Redington chose the path from Anchorage to Nome, giving birth to the now famous race. The trail was chosen in particular for its 1925 diphtheria run. The race has seen various changes since that first race. More safeguards were put in place for the sled dogs. The record time to win the race—originally 20 days—was shortened to just 9 days in 2002. The biggest change is the addition of an alternate southern route. Each year, the Iditarod alternates between the northern and southern routes, adding even more challenge. A team competing in the Iditarod race comprises one musher, a team of up to 16 dogs, and all kinds of gear to stay warm, make food, and survive in the Alaskan wild. Mushers definitely need to be fit and have strong leg muscles on top of good balance, but the race really requires mental stamina and endurance. It’s a rough, physical journey, riddled with extreme weather and periods of sleeplessness. In fact, aside from the mandatory rest—one 24-hour rest and two 8-hour rests—most mushers push themselves to stay awake and win the race. Then there’s the food. Mushers certainly need to eat a lot to sustain themselves in the extreme conditions, but the dogs doing all the running require so much more food. Each dog must consume at least 10,000 calories a day, which translates to nearly 2,000 pounds of food for the team for the whole Iditarod race. Dogs get snacks every few hours and are fed full meals, consisting usually of meat, fats, vitamin supplements, and dry dog food, at each checkpoint. Mushers who participate in the Iditarod split a large cash pot. The first place winner takes the most money and each successive finisher receives a slightly reduced amount. So even if you’re not first, you’ll still receive something. And then there’s the Red Lantern Award. This is given to the team that finishes last and symbolizes perseverance, pride, and accomplishment. The Red Lantern is often confused with the Widow’s Lamp. 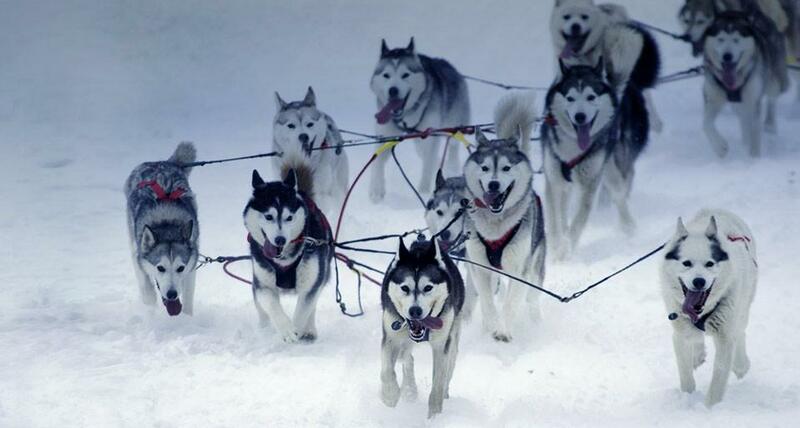 Well before the conception of the Iditarod, dog drivers relied on roadhouses that were scattered between destinations. When a musher was on the trail, roadhouses would hang kerosene lamps outside, which helped mushers find their destinations at night and signaled that there was a team still on the trail. 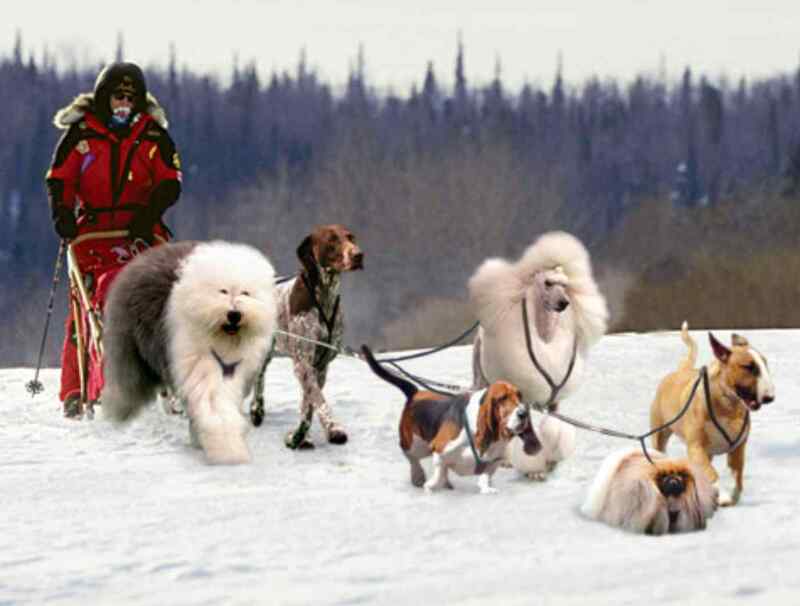 The lamp wasn’t extinguished until the last musher reached his destination. In the Iditarod, the committee extinguishes the Widow’s Lamp only after the last musher has crossed the finish line, signaling the official end of the race. 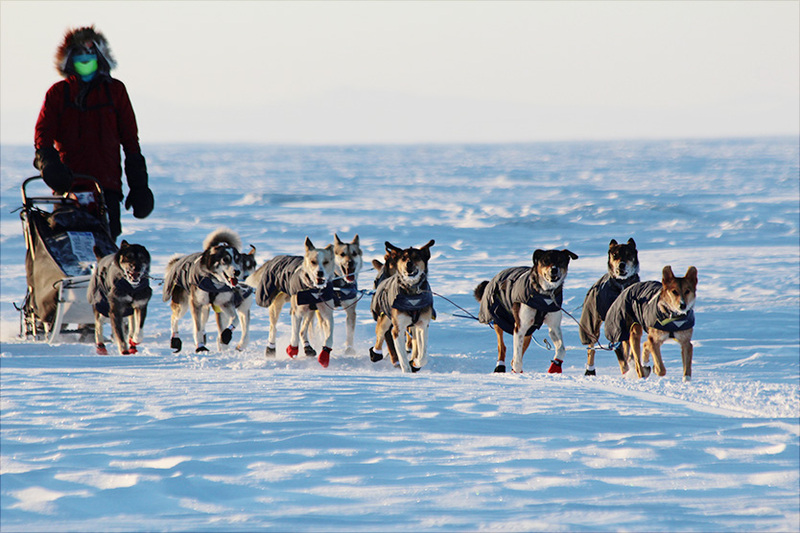 The Iditarod Trail Sled Dog Race is truly a sight to behold.